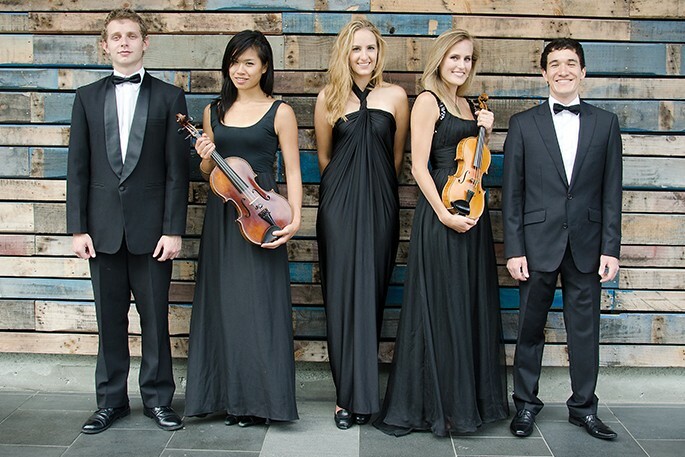 The Auckland Youth Symphony Orchestra is the premier full-time youth orchestral institution in New Zealand. 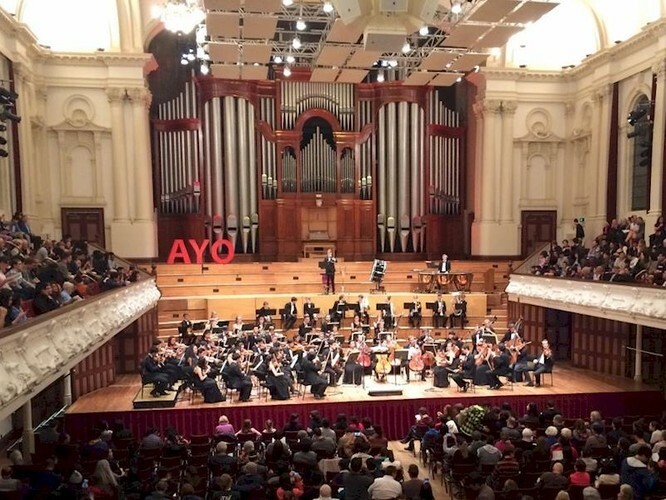 Founded in 1948, AYO was the first youth orchestra established in Australasia, designed to bridge the gap between school orchestras and adult professional groups. Since then, more than 2,500 young adults from diverse cultural and social backgrounds have passed through the ranks of the orchestra, having received expert training in orchestral playing. No other orchestral organisation or institution in New Zealand provides such a comprehensive programme to musicians between the ages of 14 and 26. Many AYO alumni can be found in leading orchestras and ensembles both nationally and internationally, teaching in conservatories, or performing as soloists and conductors. Notable alumni include Stephen de Pledge (international soloist and Senior Lecturer, University of Auckland), Jonathan Baker (Principal Tuba, APO), Gordon Skinner (Principal Bassoon – NZSO & Sydney Symphony, Sydney Conservatory) and Wilma Smith (Concertmaster – NZSO & Melbourne Symphony). The co-operative structure of the orchestra provides members with organisational and team building skills; engendering dedication, confidence and self-esteem within a positive peer environment. In today’s world, this healthy social experience equips our players with skills and a sense of achievement that will support them in whatever career path they choose. Indeed, many of our alumni are also found in business, politics and other professions, including Max Cryer, Adrien de Croy, the Honourable Judge Heather Simpson and Jeanette Fitzsimons CNZM. The orchestra's training role is paramount, however it has developed an extended role as a performing and touring symphony orchestra. The orchestra regularly presents concerts in centres throughout New Zealand and has made three extensive tours in Australia, New Caledonia and two to North America. 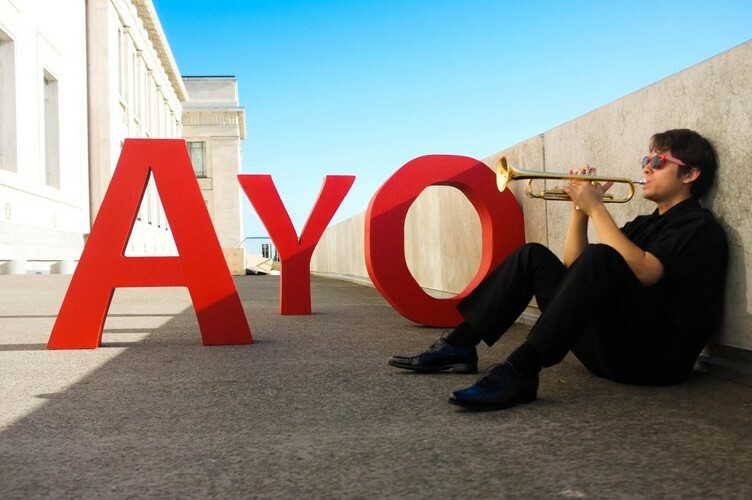 In August 2011, AYO travelled to Europe, being the first ensemble from New Zealand invited to perform at the renowned Young Euro Classic Festival in Berlin, Germany. The orchestra has always been supportive of young local performers, accompanying Dame Kiri Te Kanawa in her youth, and more recently John Chen, Victoria Simonsen, Amalia Hall, Jason Bae, Eugene Lee, Simone Roggen and Thomas Hutchinson. The AYO Soloist Competition entrenches this tradition and offers existing orchestra members the chance to compete for a concerto appearance with the orchestra. Experience with different genres allows the orchestra to engage with a broader audience base. Recent collaborations include concerts with Tim Beveridge, NZ graffiti artist Askew and backing the NZ Variety Show. Our vision is to inspire young people to excellence through their love of musical performance and to provide them with a wide range of cultural experiences; thus shaping our leaders of tomorrow. We perform more than 15 excellent but affordable and accessible concerts annually across the greater Auckland metropolitan area, nationally and abroad; attracting audiences with diverse cultural and socio-economic backgrounds and of all ages. Not only are we training future musicians to feed into our national ensembles and orchestras but we also play an important audience development role as our members are likely to be future audiences and supporters of the arts. AYO is a healthy social experience for young people and makes an important contribution to the cultural life of Auckland and New Zealand.